Teresa “Terri” Tweedy Burns, Age 62, passed away Monday, March 6, 2017 after a brave battle with ovarian cancer. She was preceded in death by her father William “Bill” Tweedy. She is survived by her mother, Shirley Tweedy; her children, Chad Burns and Beth (Tony) Piazza; brothers, Sam Tweedy, Jeff Tweedy, and Paul (Missy) Tweedy. She is also survived by the love of her life, Paul Hyde. Terri was a native of Nashville and graduated from Cohn High School in 1972 and from Methodist Hospital School of Nursing in 1974. She was a dedicated Registered Nurse at the Veterans Affairs Medical Center for 33 years. Family will receive visitors on Friday, March 10th from 4 p.m. to 8 p.m. at West Harpeth Funeral Home. 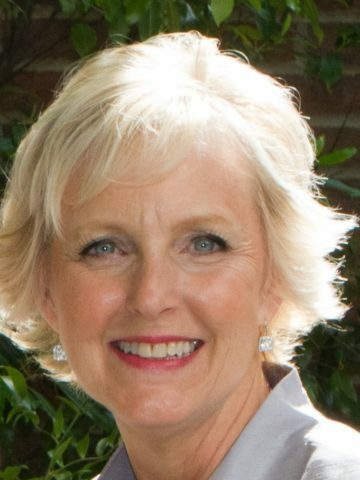 Services will take place on Saturday, March 11th at 10 a.m. at West Nashville Cumberland Presbyterian Church, where Terri was a lifelong member. Visitation will begin at 9:30 on Saturday at the church. Burial will follow at Harpeth Hills Memorial Gardens. Active pallbearers will be Sam Tweedy, Jeff Tweedy, Paul Tweedy, Jake Tweedy, Devin Tweedy, and Chris Vaughn. Honorary pallbearers will be the Women of Faith Sunday School Class and her co-workers and friends from the VA Hospital. In lieu of flowers, donations may be made in Terri’s memory to the West Nashville Cumberland Presbyterian Church 6849 Old Charlotte Pike 37209. Terri you have always been an inspiration to us all. Prayers for peace & comfort for your family. Till we meet again, Love You, Joan??? Such a sweet spirit, beautiful inside and out. Thoughts and prayers to the family for peace and comfort. I am so sorry to hear about Terri’s passing. We attended junior high and high school together, and I have often thought of her through the years. I have some very sweet memories of Terri.. She was a beautiful person in so many ways. May her family and closest friends be comforted with God’s strength and love. will never be forgotten by me. What an inspiration she was for us all. I will miss her. Such sad news. She was such a sweet girl. She still is as beautiful as when she was voted most beautiful senior girl in high school. Rest peacefully friend. Prayers for peace and comfort for the family. I am so saddened to hear this news. Terri was the “most beautiful” of our high school graduating class of 1972. Always kind and always beautiful. It was an honor for me to be in the yearbook photograph with her. My thoughts and prayers are with her soul and her family. Terri was an amazing friend and the best nurse I’ve ever had the pleasure of knowing. I know I am a better nurse for everything she taught me and a better person for have knowing her and calling her my friend. To know her was to love her! I had the pleasure of working with Terri at the VA. I always looked forward to seeing her; full of vivaciousness. She was so entertaining; loved her stories, and made us all laugh. She will truly be missed. Loved by many……? My first mentor at the VA. Thank you for your faith in me. May you fly high with the angels. Peace and love to you and your family. Terri was wonderful person and great friend. Undoubtedly one of the very best nurses I have ever had the pleasure of working with. She taught us all a lot about caring and giving to others. I will always miss her and her goodness. My thoughts and prayers are with her and the family. Terri , you will always have precious memories that I will cherish in my heart. I meet Terri as a Clinical Nurse.at the VA Hospital many years ago. She was the most gracious and humble person that I’ ve every known..She always cared about her patients and staff. I will never forgett all the fun lunches we had. Terri will be missed by so many ,her most unforgettable SMILE———-Terri isi gone but not forgotten. Praying for Beth.Chad ,Paul and the Family..
To know Terri was to love her. I met Terri at the VA when my daddy was a patient many years ago. He thought so much of her. Years later I knew her through the Wayne Phelps family. Terri was so brave as she battled cancer for 9 years. She inspired all who met her, always had a smile and concern for others, no matter how she might feel. I consider it a blessing to have known Terri. My heart is heavy for her precious daughter, Beth and son, Chad and all her loved ones. I know Terri rests in the arms of Jesus now, her suffering is over. May God comfort all who miss her. It was an honor to have known and worked with Terri. What a blessing she was and what a sweet spirit. My childhood was filled with wonderful escapades with this precious girl! We were fast friends from the moment we met In first grade, and I believe I spent more time at her house than mine in some of those years. She had such a passion for life and adventurous spirit. She could talk me into anything. My life is richer and full of wonderful memories from our friendship, Terri, Connie Burns Phelps, Debbie Woodside Moody and I were a constant foursome. Sending prayers for her family and loved ones! Terri was my mom’s best friend and a second mom to me and my two sisters. She has been there for me in every aspect of my life. I can’t think of any major event in my life that did not include Terri. I will miss her more than I can ever say. She was such a kind and caring person. She was a devoted mother, sister, daughter, nurse, and friend. She was the most selfless person I have ever known…always putting the needs of others before herself. She was such an inspiration in the way she fought her cancer battle for almost nine years. She always had a smile on her face and her quick wit never left her. Our great loss is heaven’s great gain and I know she is flying high and in no more pain. My thoughts and prayers are with Beth, Paul, and Chad…may we all surround them with love and support just as Terri did her entire life! Terri and I met when we were 5 years old and for the next 57 years we were always there for each other. A lot of laughter and some tears. She was without a doubt the best person I have ever known. I will miss her more than I can say. Fly high Terri you earned those wings. Terri you were one of the best nurses that I have ever known. You taught me about nursing and made me VA STRONG and even taught me how to cook some of the best food I have ever eaten. I know you loved your plants and flowers so I hope you are walking thru the garden holding Jesus’s hand and singing. I will never forget you and you will be greatly missed. So sorry to hear. My thoughts & prayers to her mom,her brothers & her children. May God give u the peace & understanding our hearts need when letting go of our loved ones we cherish. I will decide in my mind she’s already given my brother Eddie Diviney a big hig and that laughfter of life there as she did for us all here in this life. Bless your hearts to all family & friends that will truly miss her in your everyday life. Sending my love to each. Such a special and kind person. She is an angel in heaven. Sorry to hear of Terri’s early passing. She was always sweet and laughed a lot when we were school together. I knew her from 1st grade through the 12th. I always thought she was beautiful. Prayers for the family and for her closest friends. My family knew Terri since she and my sister Deena Bruce became best friends in high school. She was full of life and always made us laugh. It was such a treat when she breezed in house for a sleepover. She was also a fighter when it came to her illness and despite her own troubles always took time to call and encourage me during my cancer journey. She will be missed by so many people. Rest in peace dear Terri until the Lord reunites you with your loved ones. Very sad to hear one of our class has passed. We’re not that old, but I guess cancer has no respect for age. Always very sweet and nice in high school. Prayers for her family. So sorry to hear that Terri passed away. I went to school with her at Cohn she was a year ahead of me. The thing I remember most about Terri is she was very popular but she was never stuck up and she always made everyone feel like they were her friend even if she didn’t know you very well. I know she is an angel now. Love and prayers to the family. I’m so sorry to hear of Terri’s passing I have a lot of great memories of when we were young and growing up. Thought about her often when I would pass by the house on urban dale. I’m sure all those memories will help get you through this. My prayers with you Sam and the rest of your family. Yes Terri was my daughter . I knew her well better than anybody she was always kind and sweet .my boys and myself and the whole family sure are going to miss her. Fly high sweet Terri. You and Brenda stay out of trouble in the next life with our Lord and Savior Jesus Christ! You were the best niece to my dearest friend. Terri was one of the sweetest people that I have ever met. I will forever cherish our girl trips to Bellbuckle in October. It just won’t be the same.. Heaven has definitely gained an Angel.. Sending thoughts and prayers to her family. God Bless. Terri, my sweet friend of 50 years. Thoughts of you will always make me smile. You will forever be remembered for your sweet spirit, your caring for others, and your strength. You are an amazing woman and friend. I thank God for our friendship and will hold on to many wonderful memories. I love you girl! Sorry to see that Terri has passed. My thoughts are with her family, It’s nice to see all the friends Terri had and what she meant to them, I hoped that I was one of them she thought of as a friend. She will be missed. Good and sad times. She was a sister to me. And Chad, and her mom, and friend Connie. Oh no… I am so very sorry to see this. To the family, my sincerest condolences and may your loving memories bring you some comfort now and in the days ahead. My heart goes out to all of you and I will keep you all in my heart and prayers. Terri was a treasure on earth. I am so glad our paths crossed. I send my hopes for comfort to her sweet mother, family, and to all of her friends. I loved working with her at the V.A. clinic. She is truly an inspiration. She will not be forgotten.